In this instructable I will be showing you how I made a two players Connect 4 with an arduino nano. RGB Led displays player’s pawn and player choose where to place it with buttons. 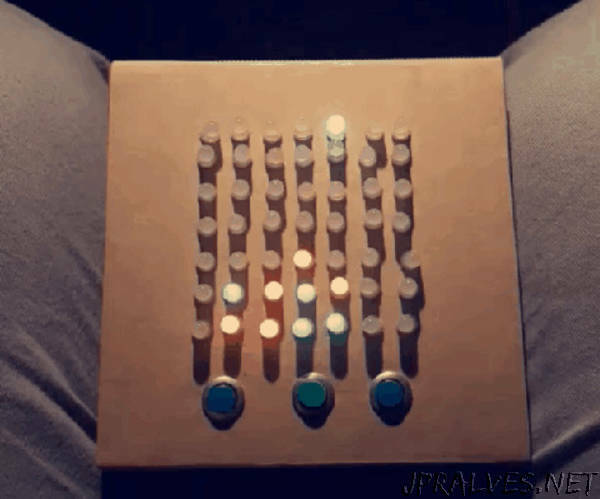 The trick of this instructable is to control a high amount of inputs and outputs : 49 RGB Leds and 3 buttons. I recommend you to read all the steps before to begin your own Connect4. They are lot of tricky parts and you will be blocked if you don’t etablished the right protocol. I’m sorry I didn’t take a lot of photos when I was building, this is my first instructable so I will forbid some crucial steps. Be kind and alert me!